The JENOPTIK-VOTAN® product line comprises application-specific series solutions and is used for different processing of various materials. The JENOPTIK-VOTAN® A Classic is a unique plant system for the controlled and safe incorporation of invisible predefined weakening points in instrument panels made of different materials. 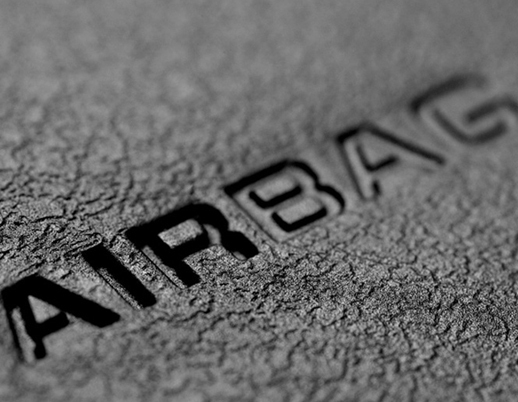 The series system for automotive and component supplying industries enables the production of aesthetically high-quality airbag solutions on the one hand and safe production thanks to process monitoring and control options on the other. The plant series JENOPTIK-VOTAN® A perforates plastic parts - TPO, PU, TPU or PVC - as well as textile or leather parts, even if backed with soft foam systems. 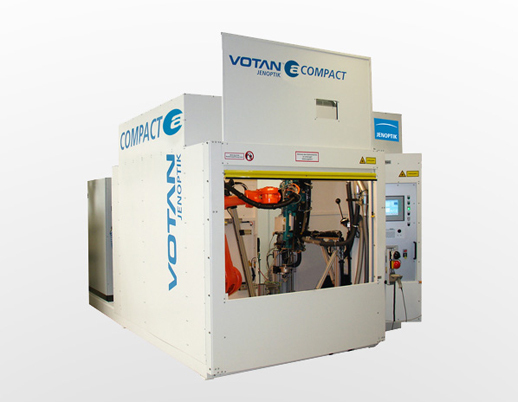 The JENOPTIK-VOTAN® A Compact belongs to the laser perforation system family JENOPTIK-VOTAN® A (Airbag). It is the space-saving, flexible “little sister”. This system also creates integrated, invisible predefined weakening points for airbags in passenger car instrument panels and other interior parts by means of a laser. Thanks to the compact container design, it can easily be moved to a different location without having to disassemble any key components. In addition to the low investment costs, the system distinguishes itself by optimized delivery, transport and commissioning times. We reserve the right to make changes in the interest of technical progress. When it comes to the processing of large vehicle components such as instrument panels, traditional methods often fail because they cannot cope with the requirements of rapid processing times, high productivity and flexibility and last but not least, great accuracy. We remove casting tabs and foil remnants on instrument panels and other plastic components cleanly without creating any surface damage. 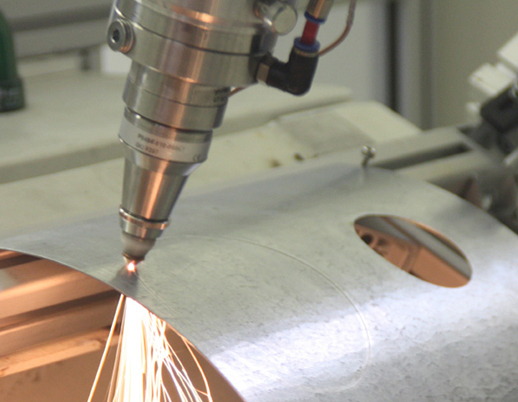 This laser system is used for a variety of demanding tasks in the field of laser cutting of plastic or metal components, e.g. 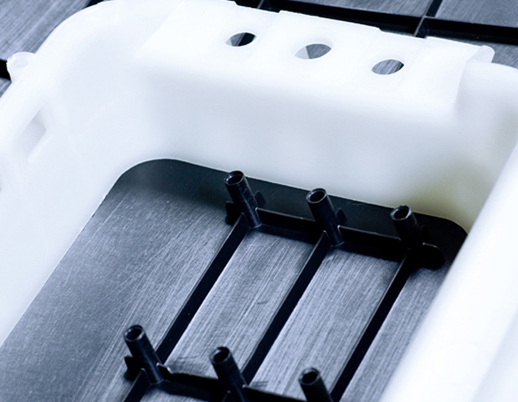 trimming of interior cover parts, removal of borders and overlapping foil with components made subject to back injection molding, trimming of press-hardened structural components as well as 3D-molded metallic sections. JENOPTIK meets the demand for compact laser systems for various welding tasks in the automotive industry with the JENOPTIK-VOTAN® W family. 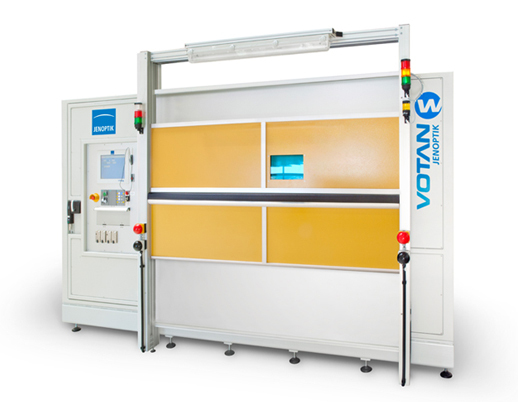 Through quasi-simultaneous laser welding of plastic materials, this system enables minimum cycle times and top results such as the absence of marks and high strength. Moreover, metallic components can be laser-welded using this machine as well with minimum deformation and thermal influence. 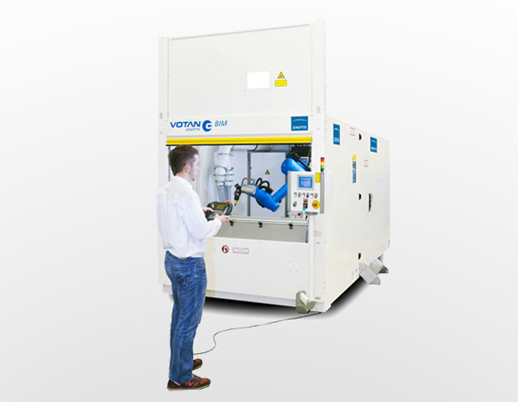 Laser welding of plastic materials and metals up to 3D using 6-axis robots or simultaneous welding using directly radiating diode lasers is possible with the JENOPTIK-VOTAN® W on an industrial level on an area as small as one square meter. 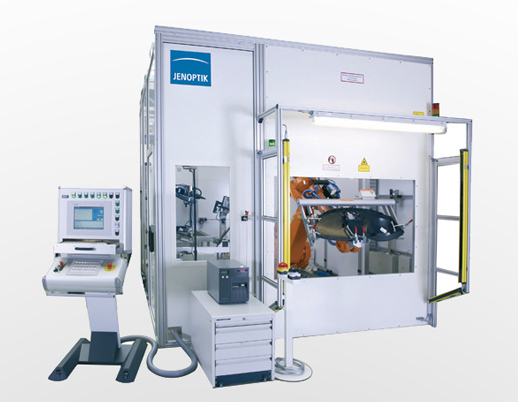 With this system and tailor-made technology development, Jenoptik is capable of constructing a customized machine, tailored to the customer’s needs.